Jose Mourinho has insisted his decision to take Zlatan Ibrahimovic off at half-time was tactical. Zlatan Ibrahimovic was making his first Premier League start of the season but was withdraw after the first 45min of the game. He was replaced by Henrikh Mkhitaryan. 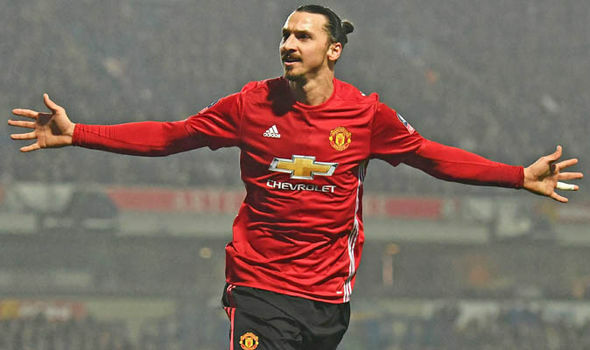 Ibrahinmovic has made just two starts since his knee injury but the striker looked well below his best against Sean Dyche's men and it was a surprise to see him risked. Jose Mourinho has however come out to defend the Swede by claiming his removal was 'tactical' rather than due to his poor display. "We changed to only one central defender as we know that Burnley don't have normally the ball as they just play direct so we played one against one with Phil Jones. "It is a risk and Jones accepted that and Nemanja Matic was there to bring the ball from a totally free position, bringing lots of balls into midfirld." "Then, instead of more positional players like Zlatan Ibrahimovic, I decided to go with Henrikh Mkhitaryan, Jesse Lingard and Juan Mata with all three trying to play in these areas behind Lukaku." United title hopes are now all but over with the gap between themselves and Manchester City now at a staggering 12 points.